I love the laced up stilettos. They are really gorgeous!! Your shoes are so pretty :) I really like heels but I have a hard time wearing them. Do you have any tips when wearing heels? I love the wedge with buckles, very nice indeed! I LOVE the black wedges with the wood heel. Beautiful! Please follow me, I love your blog!!!!! Today I discovered that not only do I have this urge to steal your amazing jewellery collection, I want all your shoes, too!! I love the wedge one with buckles! I love all those shoes!!! The laced up heels are definitely too adorable!!! 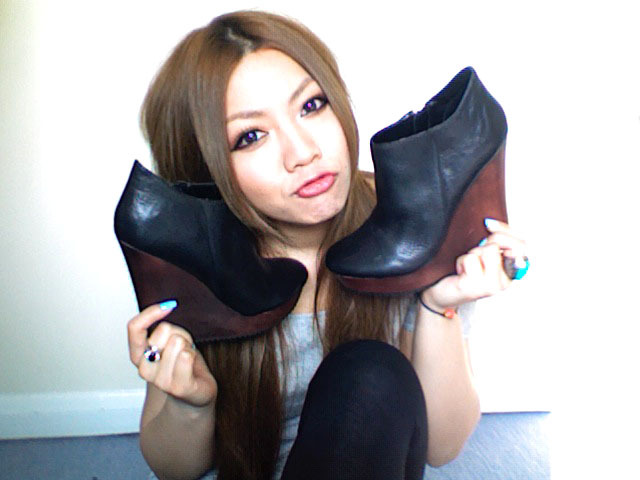 love all your shoes :) especially the wedges from aldo.